Reliable file exchange between partners and also Mule flows with audit, alerts and replay for business continuity. 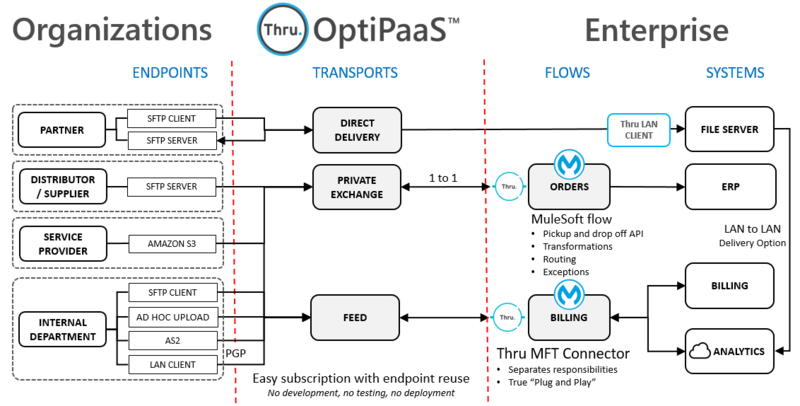 Partner Management with subscriptions, self-management, reusable endpoints and support, out of the box endpoint protocol/application connectors. Centralized system of record to mitigate the risk. Monitor and control all file transfers across all lines of business and partners using real-time end-to-end processing dashboards. Scalable and secure REST API for Mule connector.